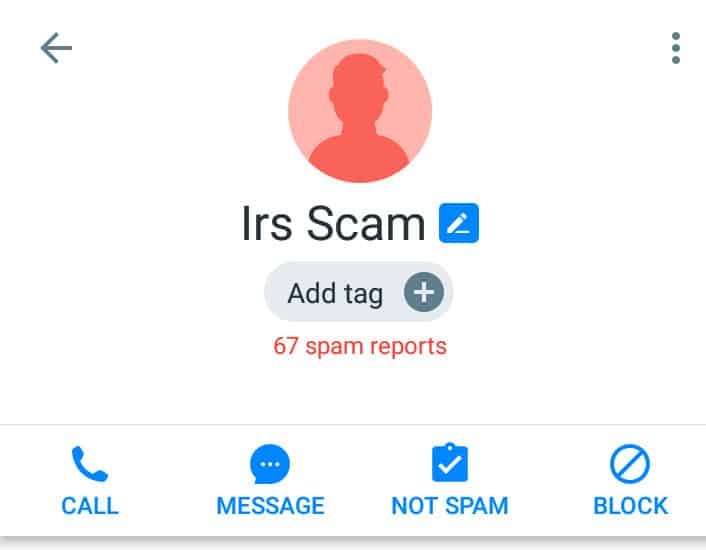 Phone spam can be a nuisance, but IRS scams can be costly if you fall for them. Before you pick up that phone call from the IRS, arm yourself with a bit of useful information to parse those real calls from devious scammers. It’s that time of year again. Most taxpayers should have their W-2s in hand, while business owners and self-employed taxpayers should have all of their 1099s and other tax documents ready for the 2019 tax filing season. However, as that April 15 tax deadline rolls in, US taxpayers may want to be careful when picking up the phone. For the past several years, IRS scams have increased in number, with many using scare tactics to separate Americans from their hard-earned dollars. What are IRS scam calls? IRS scam calls can come in many forms. Most, however, will attempt to scare you into thinking that you have certain tax liabilities that you don’t actually have. As a US taxpayer with a phone number that’s been stolen in quite a few dozen data breaches, I’m no stranger to these calls, either. Thankfully, my Truecaller app quickly identifies these numbers as spam. But before I had a spam call filter, I found myself feeling the pinch of fear that these calls can induce. Thanks to my spam filter, I’ve never picked up this number, and anyone who receives any number identified by their spam filtering apps (such as Truecaller or Robokiller), should also avoid picking up these calls. As you can hear, the individual on the other end of the line identifies himself as an agent with the US Treasury Department. He then proceeds to ask for rather standard information (name, mailing address, etc. ), in order to appear official. The personal information I gave the scammer was completely made up. I gave the IRS scammer a fake name and a fake mailing address. The scammer appears to do a web search for the name I gave him, which led him to ask me about my current address information. Since my address didn’t match what he found (likely through publically available online databases), I told him I recently moved and changed addresses. The scammer makes every effort to appear official and to try to persuade me that I have a tax liability. He uses “scare” words and phrases, such as “lawsuit”, “crime” and “hiding money from the government”. Had I managed to get him to stay on the line, he likely would have requested me to give him credit card information or to pay through other means, such as through purchasing gift cards and providing the gift card information or even paying through PayPal. The IRS never conducts business over the phone in this manner, and almost never makes phone contact regarding overdue tax liabilities. With IRS scams of this nature, the scammer will try to get you to stay on the line as long as possible in order to verify that you’ve sent the money. At that point, you’ll be disconnected. If you end up on the receiving end of an IRS scam call, you may also hear other scare words and phrases, such as „asset forfeiture“, or even „criminal offense“ and „jail“. The IRS does not conduct business in this manner, either, especially not over the phone. 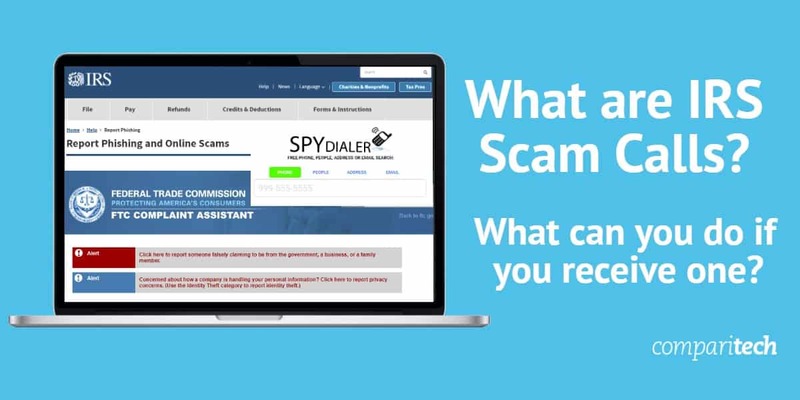 Are IRS calls always scams? For the vast majority of consumers, yes. Simply put, the IRS never initiates communication for tax-related issues with a phone call. The IRS will always send a letter in the mail first, and any follow-up communication will only happen after other efforts to communicate have failed. Additionally, the agency will likely send multiple letters in the mail before moving to another form of communication. Phone calls from the IRS are exceedingly rare. If you get a phone call from the IRS and it’s not a 1-800 number, it’s quite possibly likely a scam. That said, the IRS does have local numbers in different locations, and these numbers can be spoofed. This is especially the case if the number carries the same area code and local exchange as yours. In this instance, it’s likely using neighbor spoofing as its scam method. Note that some of these IRS phone scams can be fairly sophisticated. The scammers may have fake identification numbers, names, and other information intended to convince you that they’re a real agent. However, if you receive an IRS call that is requesting you pay money for any tax purposes, it’s a scam. Note that the IRS also will not communicate through text messages or emails. For more information on IRS tax scams, read here. Additionally, the IRS offers a list of its official numbers on its website and states it’s best to call the agency if you think you owe taxes. Unless you’re using a spam blocking app on your mobile device, you probably won’t know a call is a scam until you pick up. However, spam callers are now using number spoofing methods that bypass even the best spam filters. In particular, “neighbor spoofing” now accounts for the vast majority of spam calls, where the area code and local exchange number match that of your number. Some of these calls use spoofing technology to hide the real number, and may also be IRS tax scams. If you believe you’ve fallen victim to an IRS scam, report the incident to your bank and credit card company immediately. Additionally, report the incident to the FTC.